Young children are facing new situations every day. They often have feelings and reactions to experiences that seem “little” to us but are really “big” to them. Sometimes figuring out what our little ones find scary or funny or interesting is a surprise! Working with our children – trying to understand them and support them – is crucial to developing secure attachment and connection, which leads to their self-esteem and self-worth later in life. Role play is a powerful way to help children process what they have gone through and prepare themselves for new experiences. Young kids are drawn to finger puppets so I find them a very useful tool to inspire meaningful conversations, as well as a lot of fun. Giving our children positive experiences through play can help them feel ready to face new situations, as well as empower them with yet another opportunity to connect with a caregiver. Offering these types of interactions for a child to feel listened to and loved helps create a foundation for better communication, self-confidence and resilience. Here are some simple scenarios for using finger puppets with young children. 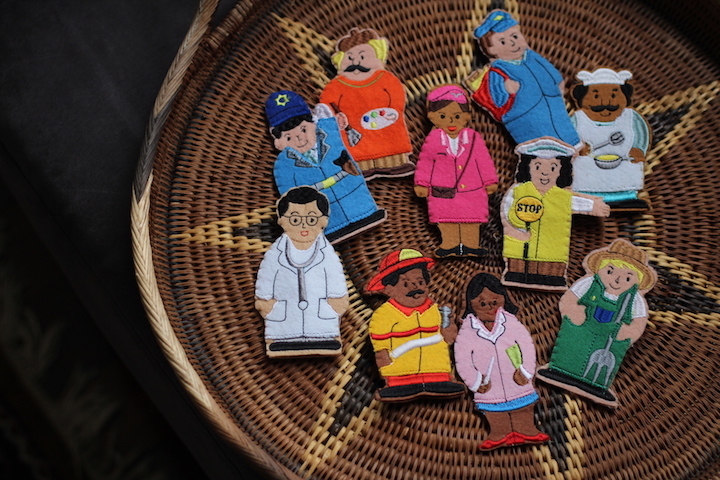 Prepare your child for a new experience (like a doctor’s appointment or playdate) through finger puppet play. 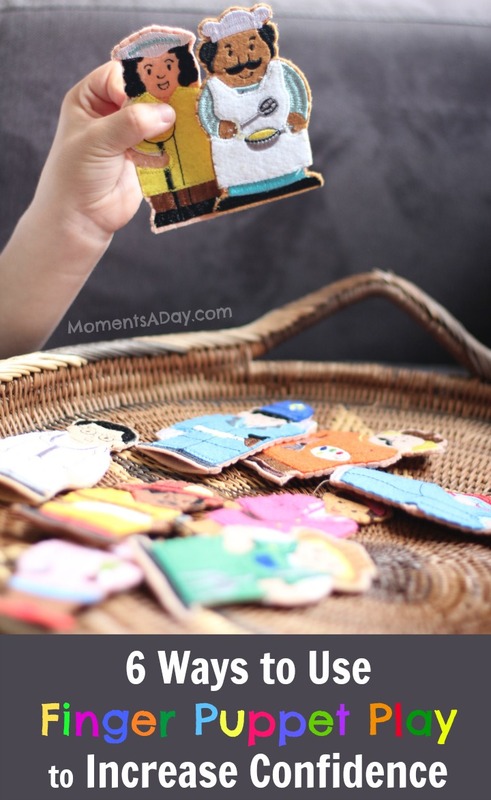 Act out what may happen during the new experience either with your child so they can practice in the new situation or (for a reluctant child) with another finger puppet so they can watch what happens. Empower your toddler by having a finger puppet ask them for help. “Can you help me with this puzzle?” “Can you show me where the bathroom is?” Giving your toddler an opportunity to help others lets them know they have skills and abilities to contribute to the people around them. Feeling useful is a great confidence booster! This set of 10 careers finger puppets can be found at Child.com.au. Play is therapeutic for children and reaches them on a much deeper level than a string of words without the playful context. Do you have any finger puppets that could help your child process some experiences or work through new ones? Feel free to share ideas or ask questions in the comments below! Looking for more educational resources? Thanks to Child.com.au for sponsoring this post as well as 10 readings of my storybook Mason’s Greatest Gems which I did on our trip around Australia. If you are looking for educational resources, games and toys – check out their huge range on their website. 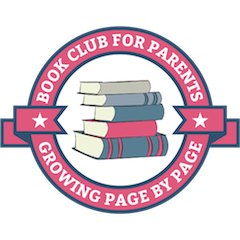 Sign up for my newsletter to receive activities, book suggestions, inspiration and articles about helping families connect, build character and make a difference in their communities. This is a sponsored post. All opinions are my own. To read more about reviews on my website, visit this page. Here is how to Build Self Confidence in Children.